This post will explain how to use a new component within the Facebook SDK iOS; I am talking about FBLoginView. Facebook SDK for iOS has seen several updates and improvements during the last year. During my first project I was asked to refactor the authentication flow, such as login and logout. //  Created by Giuseppe Macri on. //  Copyright (c) 2012 FJ. All rights reserved. Besides the Facebook class implementation I also had to implement the UI and action controller method in order to call the authentication singleton and perform the login request. 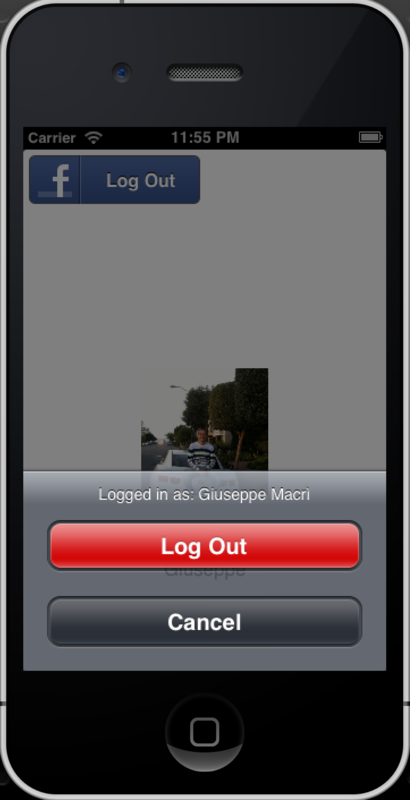 While I was playing around with the new Facebook SDK 3.1 for iOS I noticed the new FBLoginView component. FBLoginView class offers useful functionalities to support authentication flow logic and UI for both login and logout. The above code is everything the developer needs to write; no UI implementation and/or session handlers are required. · Customize the delegate method to serve a not authenticated user. I created a git repository with the entire project with some extra functionality, such as displaying user profile picture. You can find the repo here. The git project can also be used as a template for your social apps, you only need to update the faceboook app ID. FBLoginView is a really useful class and very straightforward. It also comes in really handy for prototyping. I really appreciate all the effort Facebook is putting in with their new SDKs. Every time if i log out and again if i am login it takes the previous account and logging in to my app is there any way to ask for user credential if the account is logged out ? You dont give details of the git repository to pull this code from. My bad ignore my comment, I found it. Thanks!